Gov. Rick Scott said the Panhandle awoke to "unimaginable destruction"
At least six deaths were blamed on Michael, the most powerful hurricane to hit the continental U.S. in over 50 years, and it wasn't done yet: Though reduced to a tropical storm, it brought flash flooding to North Carolina and Virginia, soaking areas still recovering from Hurricane Florence. 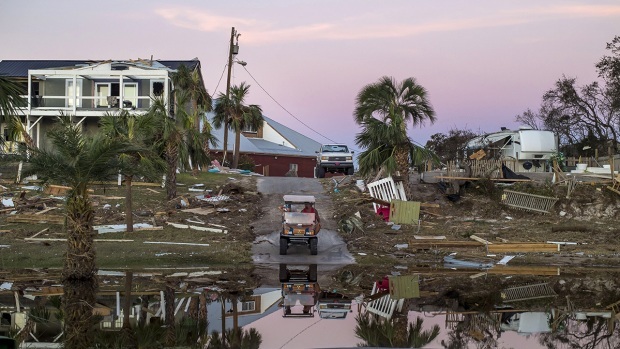 The full extent of Michael's fury was only slowly becoming clear, with some of the hardest-hit areas difficult to reach with roads blocked by debris or water. An 80-mile stretch of Interstate 10, the main east-west route, was closed. Mishelle McPherson and her ex-husband searched for the elderly mother of a friend. The woman lived in a small cinderblock house about 150 yards from the Gulf and thought she would be OK. The home was found smashed, with no sign of the woman. In Panama City, most homes were still standing, but no property was left undamaged. Downed power lines and twisted street signs lay all around. Roofs had been peeled off. Aluminum siding was shredded and homes were split by fallen trees. Hundreds of cars had broken windows. Pine trees were stripped and snapped off about 20 feet high. 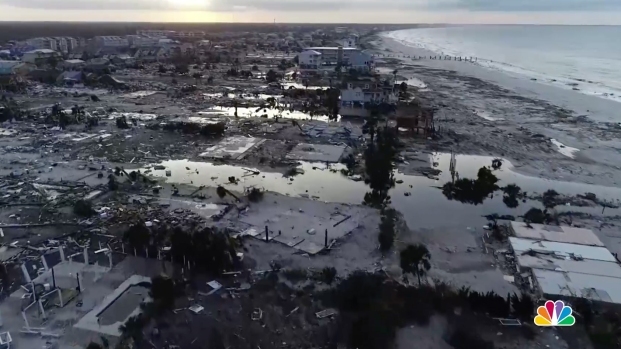 The hurricane also damaged hospitals and nursing homes in the Panama City area, and officials worked to evacuate hundreds of patients. The damage at Bay Medical Sacred Heart included blown-out windows and a cracked exterior wall but no patients were hurt. The state mental hospital in Chattahoochee, which has a section for the criminally insane, was cut off by land, and food and supplies were being flown in, authorities said. All phone contact was cut off to the complex of nearly 1,000 residents and more than 300 staff, leaving them only with emergency radios to reach the outside world. A man outside Tallahassee, Florida, was killed by a falling tree, and an 11-year-old girl in Georgia died when the winds picked up a carport and dropped it on her home. One of the carport's legs punctured the roof and hit her in the head. A driver in North Carolina was killed when a tree fell on his car. 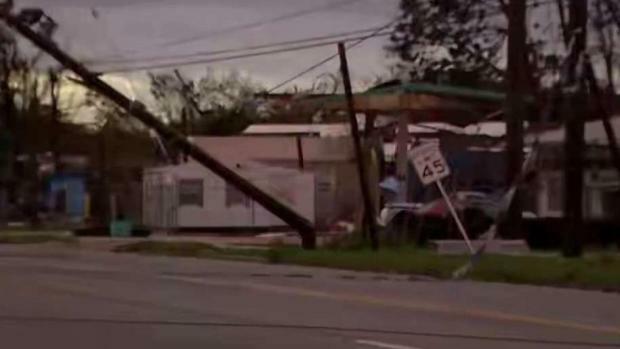 Three more people in the Tallahassee area were killed in separate storm-related incidents, officials told NBC News, though details were not immediately available. As the storm charged inland, it spun off possible tornadoes and downed power lines and trees in Georgia. Forecasters said it could drop up to 7 inches of rain over the Carolinas and Virginia before pushing out to sea Thursday night. In North Carolina's mountains, motorists had to be rescued from cars trapped by high water. High winds toppled trees and power lines, leaving hundreds of thousands without power in the central Piedmont region. Flash flooding also was reported in North Carolina's two largest cities, Charlotte and Raleigh. Forecasters said Michael was still a potent tropical storm Thursday evening, centered about 5 miles northwest of Roanoke Rapids, North Carolina, and packing top sustained winds of 50 mph. It was racing to the northeast at 24 mph amid warnings it could spread damaging winds and more flash flooding in the region before moving offshore. Associated Press writers Tamara Lush, Gary Fineout, Terry Spencer, Jennifer Kay, Freida Frisaro, Russ Bynum, Jonathan Drew and Seth Borenstein contributed to this story.